You are currently browsing the tag archive for the ‘tier’ tag. This vintage Wedding cake was designed for a unique vintage themed Wedding at Papplewick Pumping Station, Nottinghamshire. The blue-green Royal icing textured surface, with the silver shimmer all over, enriched the colours of the fresh flower garlands adorning it. Garlands with Hydrangeas were draped around the edge of this 2 tiered fruit cake to create a very dramatic and beautiful effect complementing the brides original vintage dress. If you’d like me to decorate a cake in a similar bespoke style or something completely different for your special occasion then please feel free to contact me for a quote. 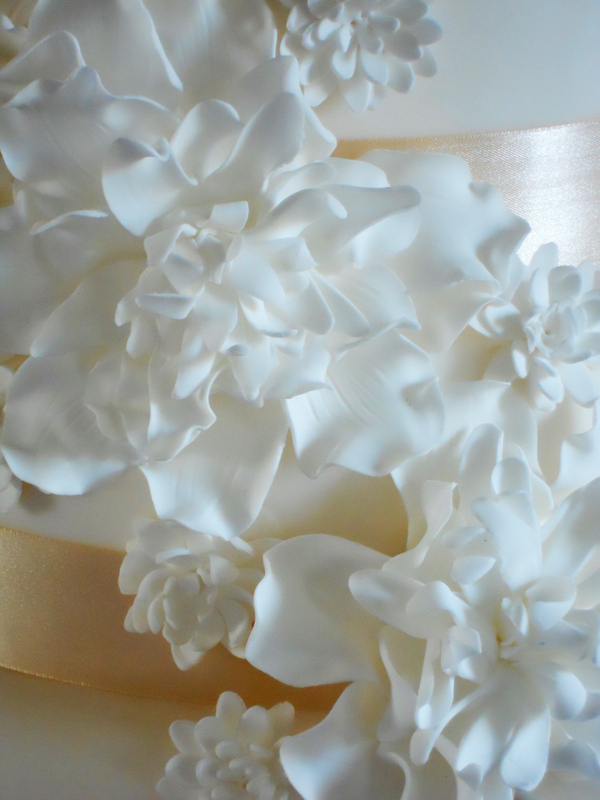 Copper Top Cakes is based in Nottingham and delivers to the East Midlands area. Please leave me an email or a message and I will get back to you as soon as possible. 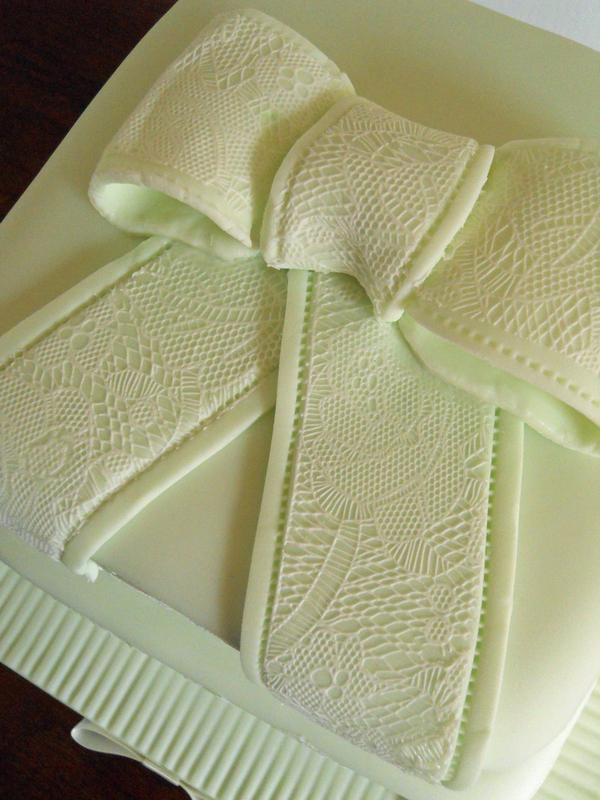 This delightful cake design with its quilted effect is ideal for a birthday or even a tiered wedding cake. The subtle pale blue and pink give the cake a vintage feeling. The quilt effect is finished with tiny iced black dots and then different sized pretty flowers decorate the rest of the cake. 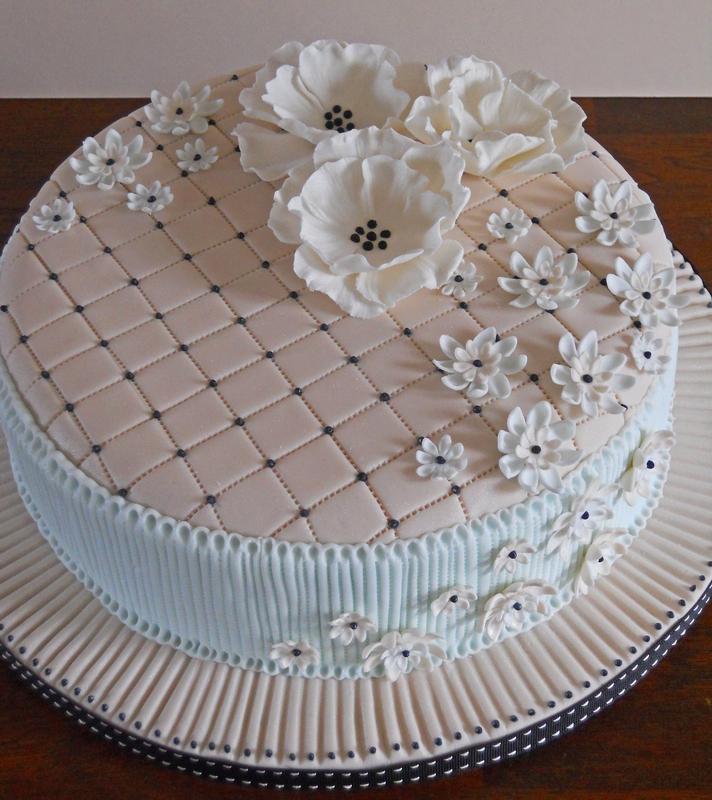 Around the cake side is a pale blue panel that provides a lovely background for the delicate flowers. If you’d like me to decorate a similar cake for a special occasion then please feel free to contact me for a quote. 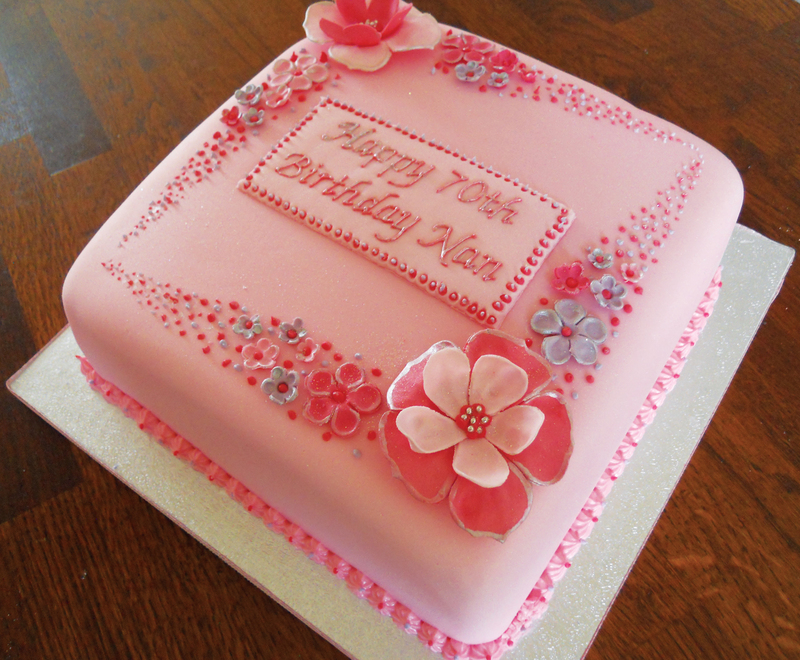 Copper Top Cakes is based in Nottingham and delivers to a wide area. 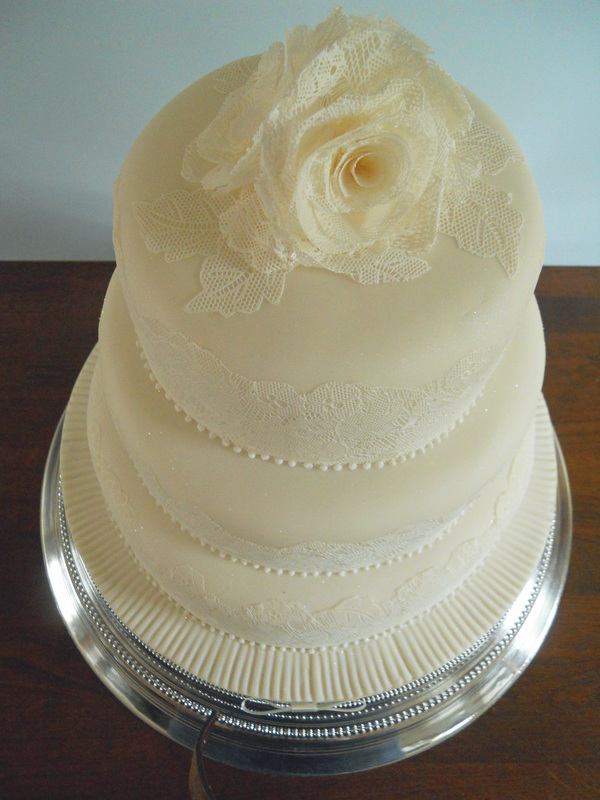 This comission was for an elegant ivory coloured wedding cake covered in edible lace and lace roses delicately placed on top. 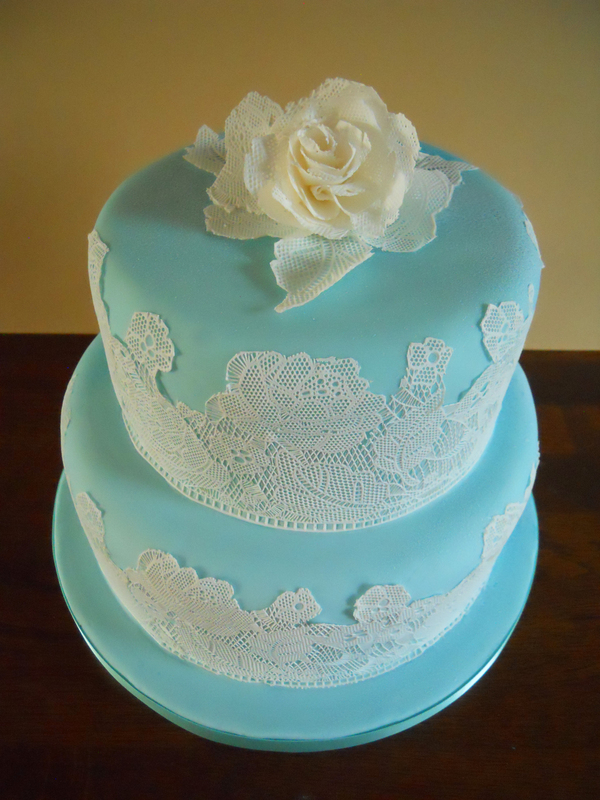 Around each tier a delicate edible lace in white was place over the ivory coloured sugarpaste for a subtle and stylish contrast. 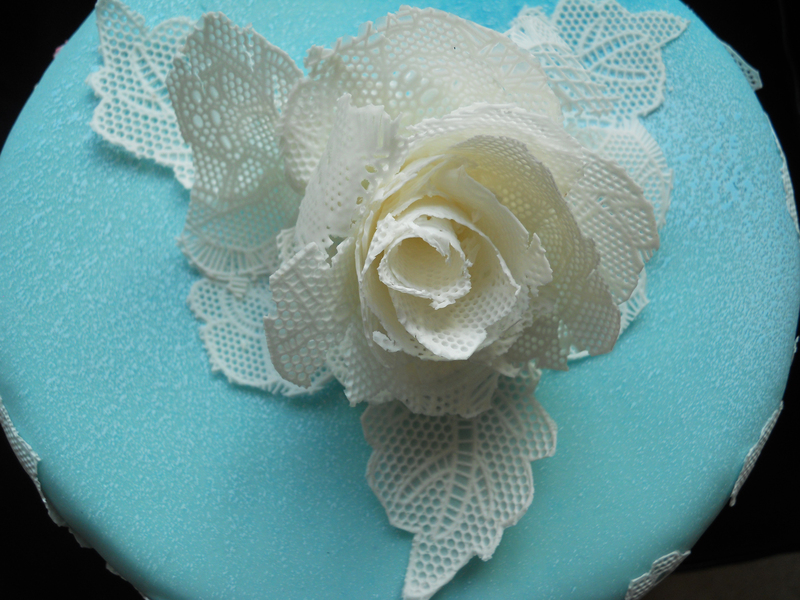 Mounted on the cake to finish the design were some beautiful hand made roses created in the same delicate lace. 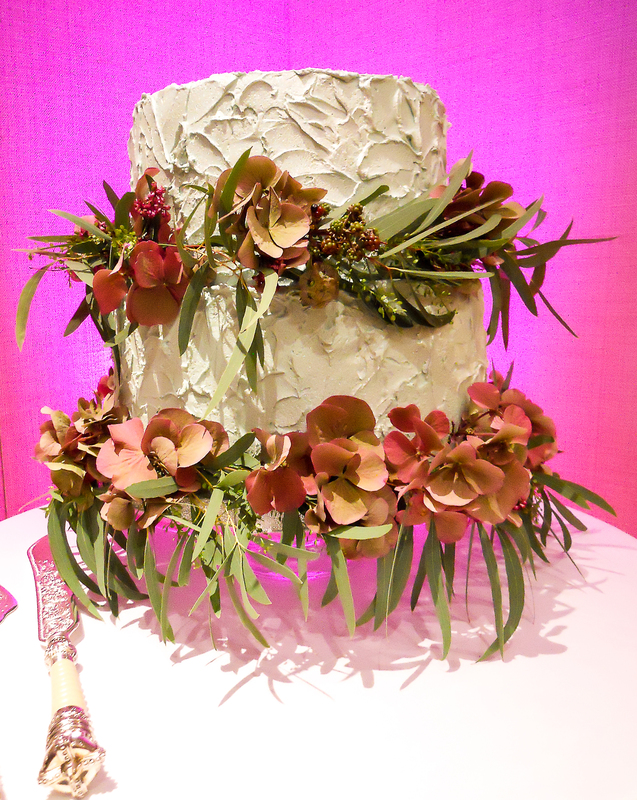 The cake is pictured displayed on the optional silver wedding cake stand which can be included for an additional charge. If you’d like me to decorate a similar cake for a special occasion then please feel free to contact me for a quote. Copper Top Cakes is based in Nottingham. This cake was designed for an Irish couple who wanted a subtle Irish theme in their wedding cake. 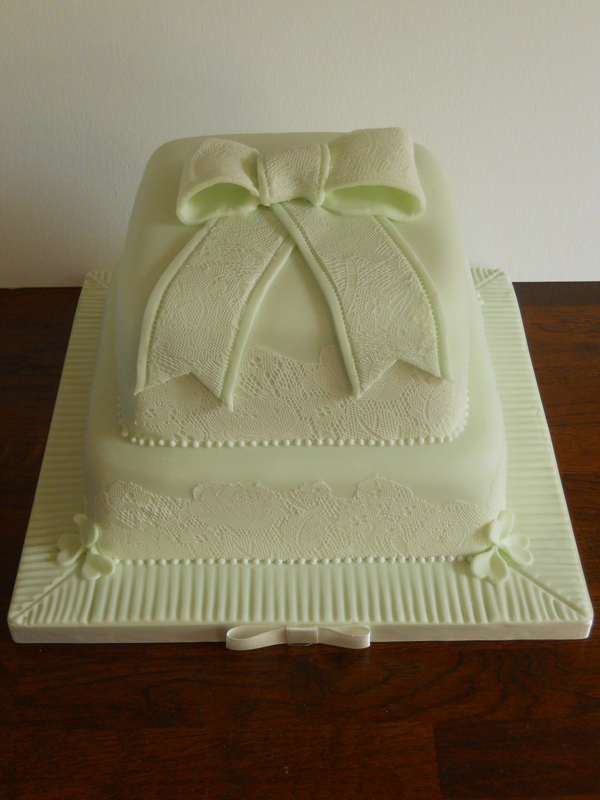 The two tier cake was in pale green, an unconventional colour for a wedding cake, and it was highlighted with edible lace around the sides to give a vintage feel. 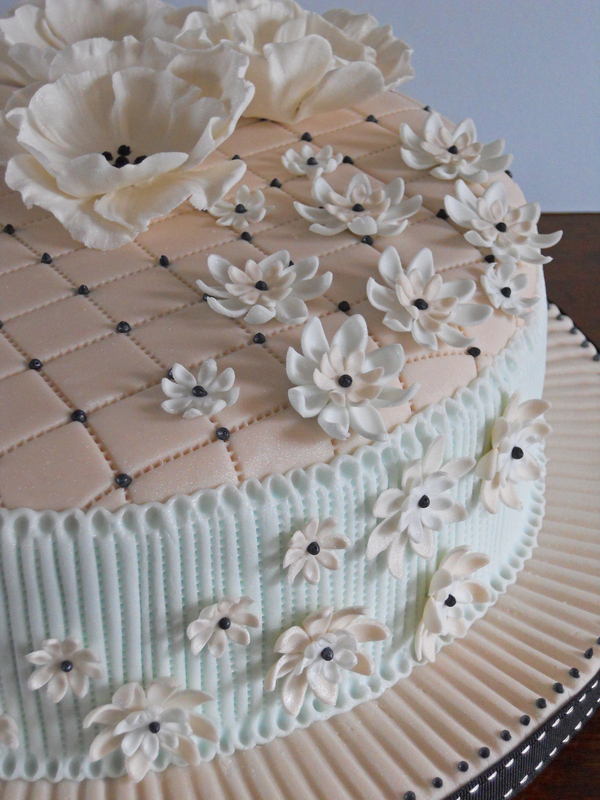 The top of the cake was completed with a big bow which was also covered in edible lace and four shamrocks, one on each corner on the bottom tier. If you’d like me to decorate a similar cake for a Wedding then please feel free to contact me for a quote. 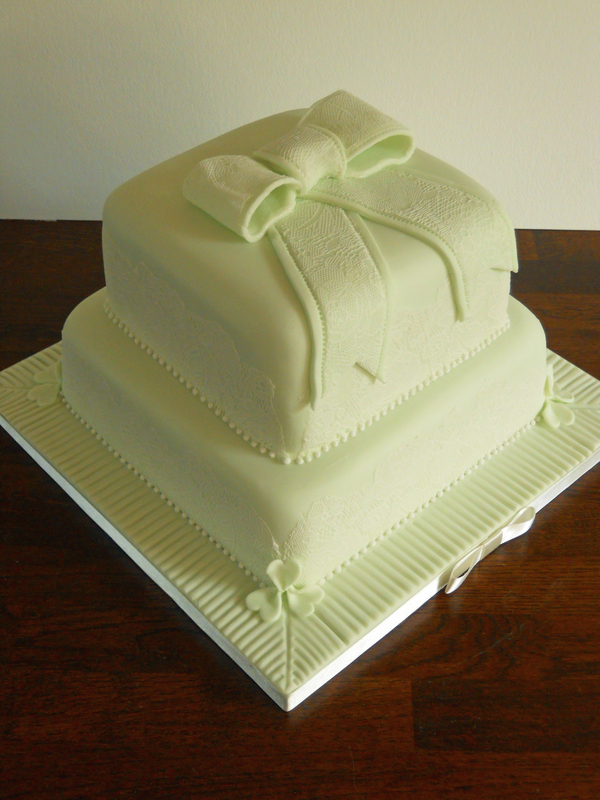 Copper Top Cakes is based in Nottingham and delivers to the whole of the East Midlands. 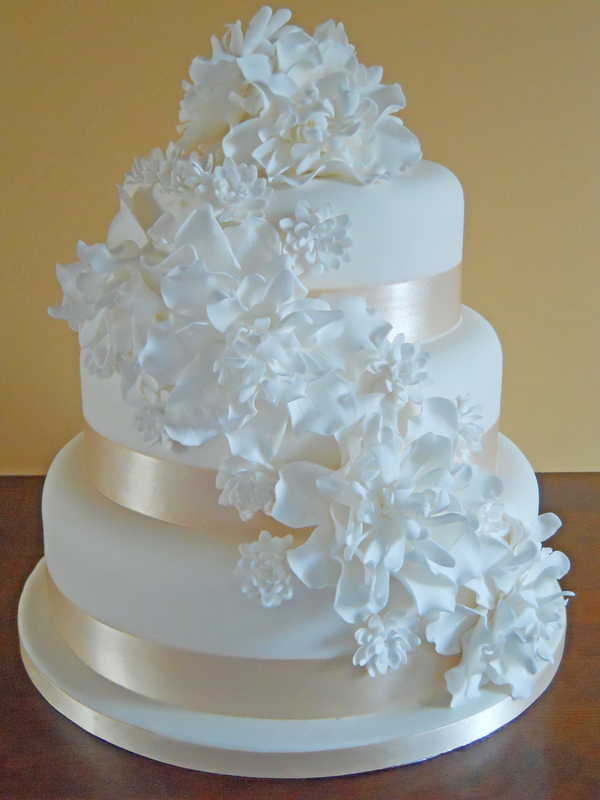 I wanted to try another flower cascade on a cake for some time and this three tier wedding cake was ideal. 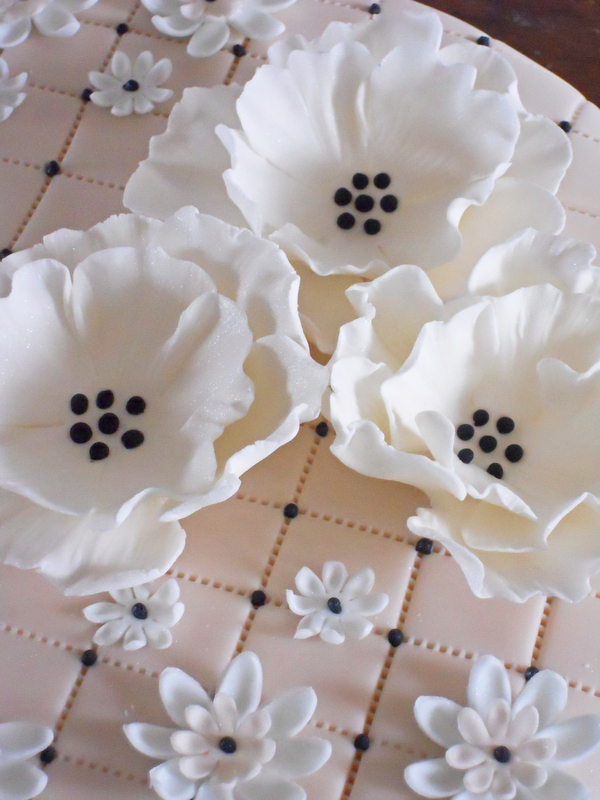 Each flower is individually made and they are draped around the cake in a shallow spiral. I used a pale gold coloured satin ribbon to highlight the tiers and give definition to the shape once the flowers where in place. 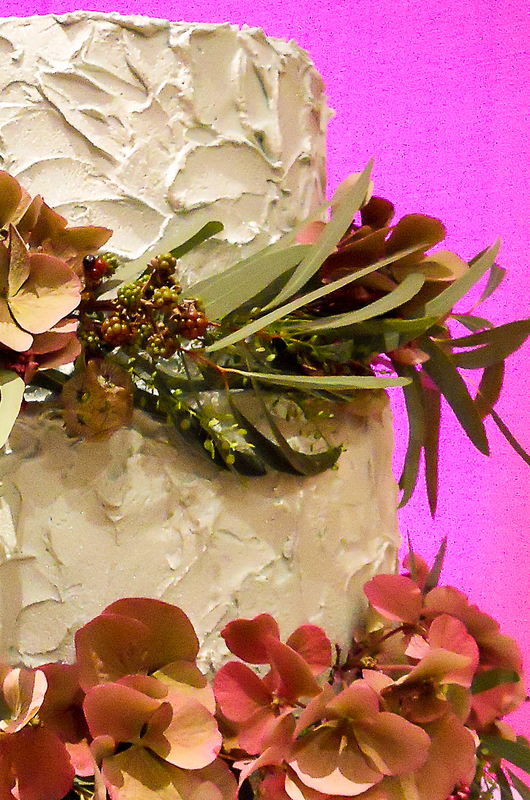 On the top of the cake I used three large flowers to add height and create a focal point. The cascade of flowers was embellished with lots of smaller flowers to fill in any gaps between the larger ones. If you’d like me to decorate a similar cake for your wedding day then please feel free to contact me for a quote. 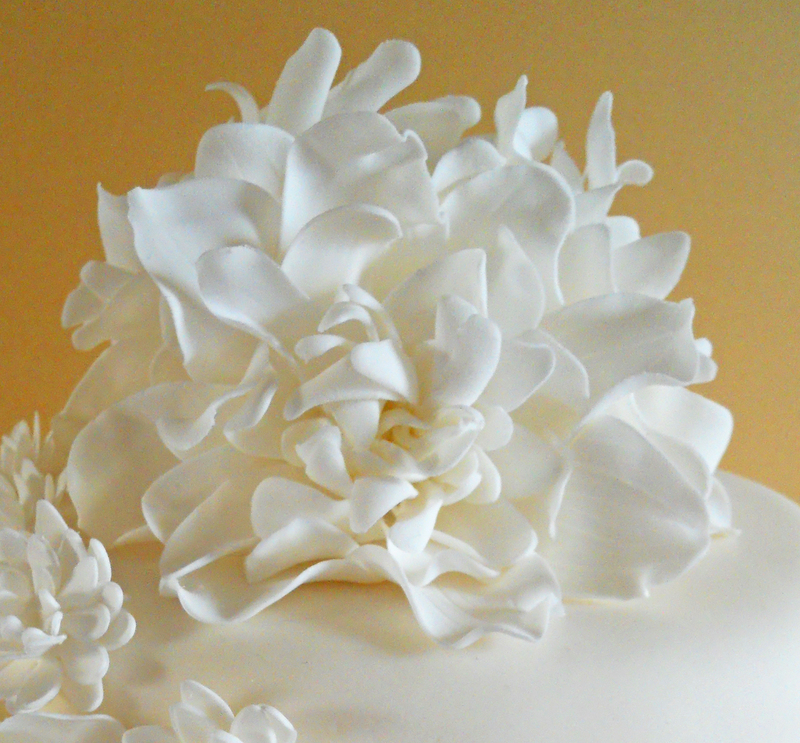 Copper Top Cakes is based in Nottingham and delivers to the East Midlands area. I have been waiting for an opportunity to try out a new type of fine, flexible icing which can be used to make edible lace. The sky is the limit with possible uses for this type of icing but I decided to create a simple design first. 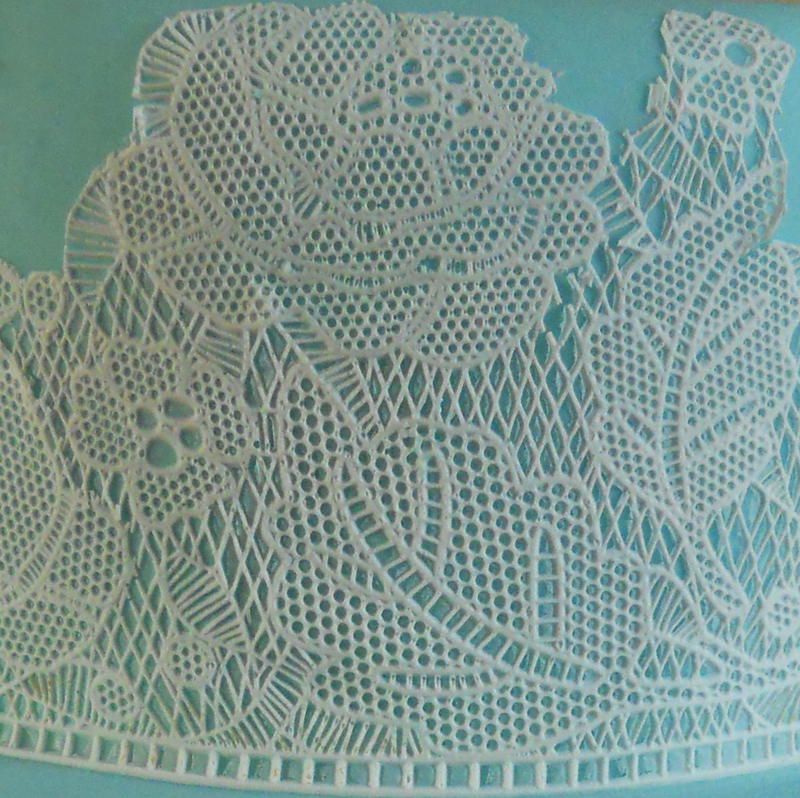 The edible lace sheet was trimmed out following the edge of the flower pattern and it was simply curved around the side of the cake over a contrasting coloured icing. 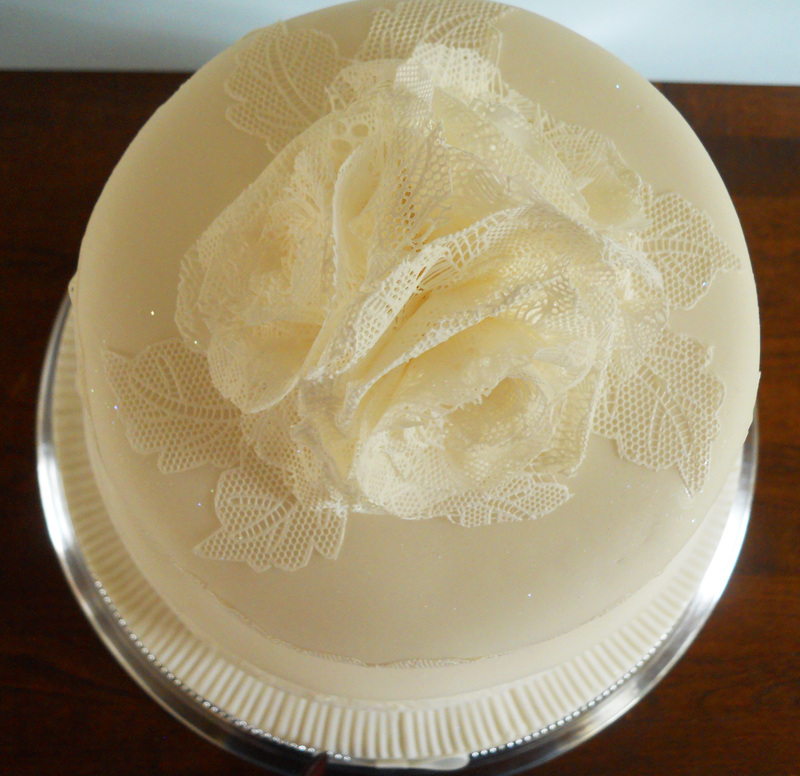 To add a little flourish to the top of the cake I used some more of the lace to construct a delicate rose. If you’d like me to decorate a similar cake as a centre piece for your special occasion then please feel free to contact me for a quote. 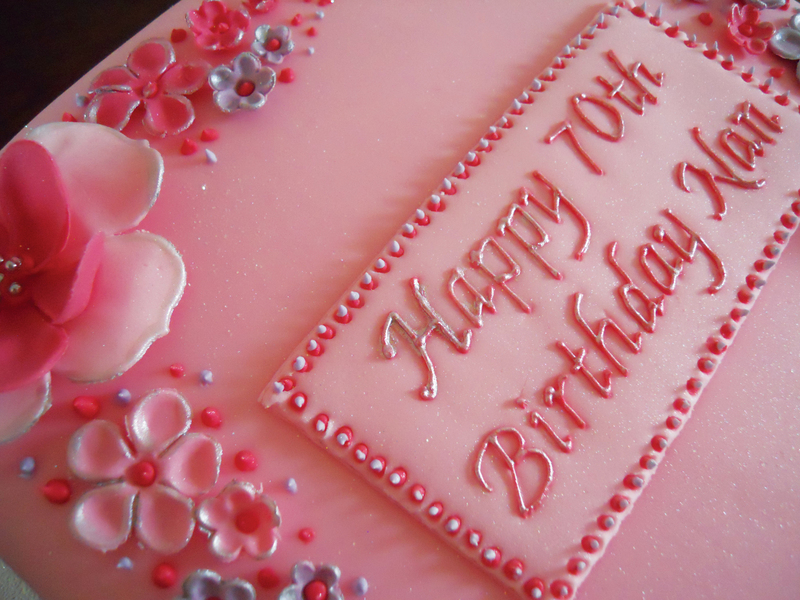 I was recently commissioned to create a feminine 70th Birthday cake and this is the design that I decided to make. This design would also looke great in a 3 tier wedding cake. Each of the delicate flowers were made by hand and they are individually highlighted with silver accents and glitter. The finishing touch was a plaque in the centre of the cake with ‘Happy 70th Birthday Nan’ hand piped on and also accented with silver. If you’d like me to decorate a similar cake for your special occasion then please feel free to contact me for a quote. 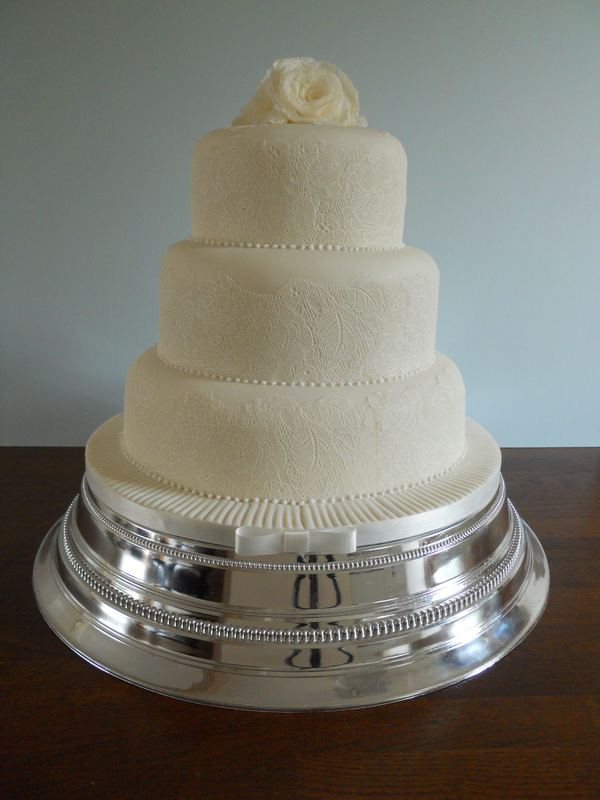 Copper Top Cakes is based in Nottingham and can deliver to the East Midlands area.